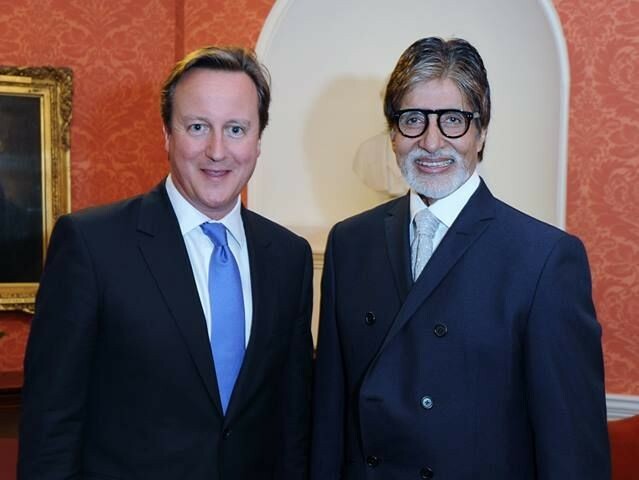 71 year-old Megastar, Amitabh Bachchan was honored with the Global Diversity Award 2013, at the State Room of Britain’s House of Commons. The ceremony recognized Amitabh as one of the most influential actors in the history of Indian cinema. 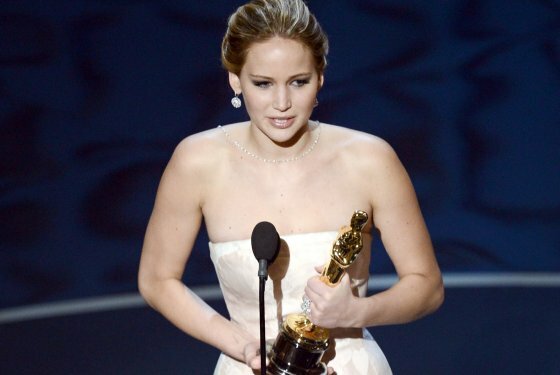 He’s been seen in over 180 films in the last four decades and continues to make an impact even today. “He is a Global patron for the diabetes charity Silver Star and last year was presented with a Mobile Diabetes Unit for his home city Mumbai named ‘Amitabh’ in his honor,” the citation said. “My father taught English in Allahabad University and in 1952 he was the first Indian to get a Doctorate in English Language at the Cambridge. 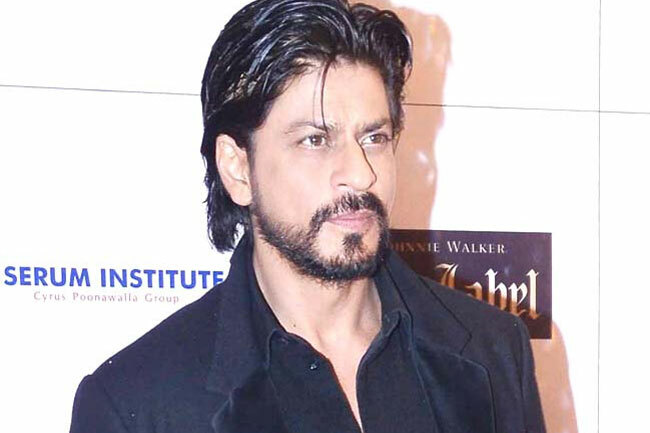 He completed his Doctorate in two years instead of the normal 4 years.” “There are very few institutions which can boast of such unity as the Film industry.” he added, referring to Bollywood of course. When Mr Bachchan was asked about his forthcoming plans, he responded by saying “I just did a film called Satyagraha which dealt with socio-political issues. There are several other films in the pipeline including Bhootnath 2. I am also currently busy with the latest Hindi version of Who wants to become a Millionaire. Congrats to Mr Amitabh Bachchan! A fun chat with the star of 3 idiots. Omi Vaidya tells us about his big break and overnight success. 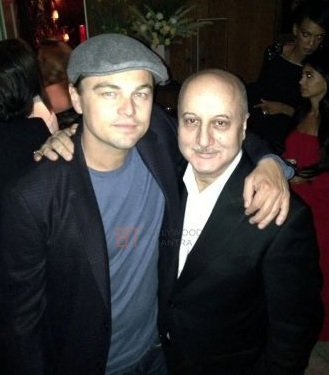 The two stars had a photo snapped at a Oscar pre-party in LA saturday night. 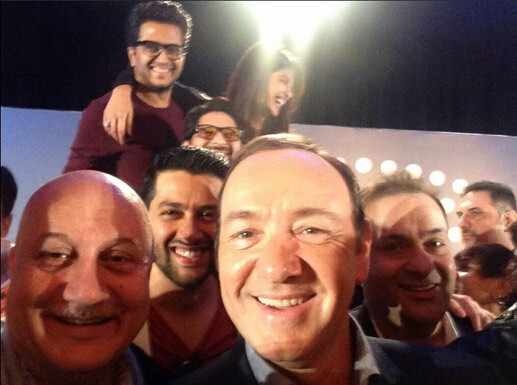 According to a source, Anupam was seen mingling with Hillary Swank, Jamie Foxx, Bruce Willis and Quentin Tarantino. After the main event on Sunday night, he headed over to Elton John’s Oscar party where he partied it up with more hollywood stars.